There is a huge availability of videos that have been produced in a very fast and wide way, along with the popularity of Internet. The video authors should carefully consider the scenario since many users have different needs. It is important to keep in mind the user experience because involves a person’s behaviors, attitudes, and emotions about using a particular system, for example, the video player. In addition, usability and accessibility of video players need to be considered. 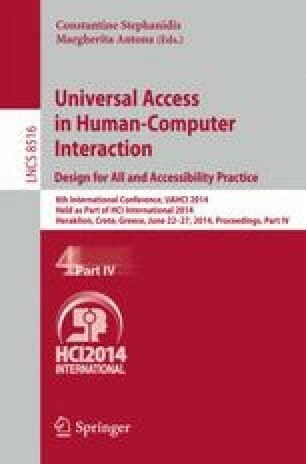 The object of this study is to examine users’ needs, expectations and requirements for accessible videos. We developed an accessible video player to evaluate with users. We present the results in the form of guidelines, which highlight the characteristics of users; the characteristics that the video need to satisfy the users’ needs and the context in which users commonly watch the videos.